Divest Waterloo and Faith and the Common Good are collaborating with local community partners to bring the Waterloo Storytelling Project to our Region. From May 6th to 10th, this project will bring together Indigenous theatre creators and a cross-section of people from Waterloo Region for a series of storytelling workshops and theatre. This is a community-wide learning opportunity about our relationships with this land and with each other. The project is led by the Indigenous storytelling experts Debajehmujig Theatre Group (Debaj) and a local advisory circle lead by Amy Smoke and local Indigenous theatre artist and community animator Heather Majaury. The project will culminate in Maamawi, a co-created theatre show that incorporates the stories that Debaj collects from its conversations in our community. This production will be presented at the University of Waterloo Theatre of the Arts on Saturday May 11th at 7pm. Tickets are free, and registration is on Eventbrite. May 6th: Indigenous community members will welcome Debaj, Storytelling Workshop and traditional feast at the Pavilion at Victoria park. Heartfelt thanks to our funders and project partners: Ahwenehaode – Indigenous Justice, Faith and the Common Good, The United Church of Canada Justice and Reconciliation Fund, The City of Kitchener, The City of Waterloo, The Kitchener and Waterloo Community Foundation, Parkminster United Church, LSPIRG, Interfaith Grand River, The Working Centre, YMCAs of Cambridge & Kitchener-Waterloo, rare Charitable Research Reserve, Kitchener-Waterloo Art Gallery and the University of Waterloo Theatre of the Arts. APT Environment, Citizens’ Climate Lobby – Waterloo Region, Divest Waterloo, Grand River Environmental Network, Hold The Line, Kitchener Waterloo Climate Save, and RISE WR. 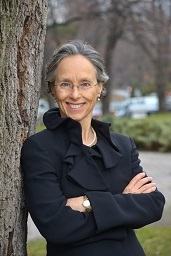 Download a copy of Dr. Dianne Saxe’s presentation, Climate Action in Ontario: What’s Next? How can we reduce our personal carbon footprint, engage with elected officials about our concerns, and prepare for a world unlike the one we currently live in? Please join us for a community discussion about the choices we face to address the climate crisis and to protect our environment: the land, water and air that sustain life on Earth. Meet Environmental Commissioner of Ontario Dianne Saxe — our provincial “environmental watchdog” — along with local leaders in environmental protection, for a conversation about climate change and how each of us can play a role in creating a safer environment. For more on the facts, fallacies and ways forward on climate change, join the conversation! Please REGISTER (admission is free). Presented by Divest Waterloo, Faith & the Common Good, The Centre for Public Ethics – Martin Luther University College, and Grand River Environmental Network (GREN). Please join Divest Waterloo and other members of KW Peace for a midday meal and conversation about Peace, Nonviolence, Social Justice and Climate Change. 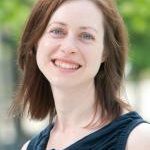 Our guest speaker is Tamara Lorincz, who is completing her PhD in Global Governance at the Balsillie School of International Affairs. Tamara will talk about the climate and environmental impacts of Canada’s new foreign and defence policies. Lunch will be provided by Kitchener Food Not Bombs, which picks up donated food from grocery stores, cooks fresh vegan meals, and serves these meals to the community for free every Saturday in front of Kitchener City Hall. This event is free with donations gratefully accepted to cover our costs! Lunch will be served between noon and 2pm; Tamara will speak at 12:30. Member organizations of KW Peace will be on site with information about the good work that they do in our community. Please register through the KW Peace website, where you can also find more information about the event and about KW Peace. This Saturday, as part of the international Rise for Climate movement, thousands of rallies and other events will be held in cities and towns around the world. Our local rally will be held in Waterloo Square, this Saturday September 8 at 4:3Opm. Join us for art creation and some pre-rally street theatre starting at 3pm. There’s an important new message in these events – “a fast and fair transition to 100% renewable energy for all”, holding together themes of climate, jobs and justice. Progress toward a more stable climate requires justice for all people – those impacted by the damages of climate chaos, and those who’s communities and jobs will have to change in the shift from fossil fuels. On July 22nd, Justin Trudeau and his government will choose whether or not to finalize their multi-billion dollar deal to buy out the Kinder Morgan Trans Mountain pipeline. And despite tens of thousands of people calling on the government to hold public pipeline consultations, they’re making the decision without talking to people. 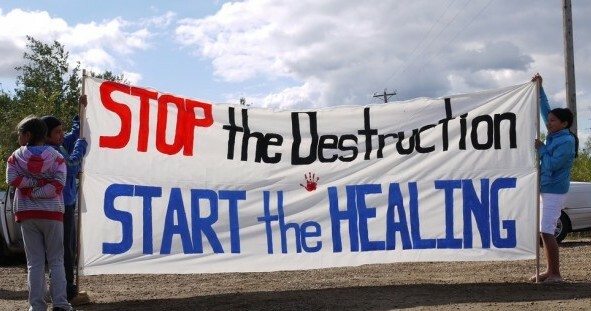 Join us on Wednesday July 11 for a screening of “Directly Affected” – a film that details all the risks this pipeline poses to people and the planet. 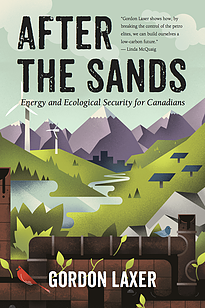 Learn about the project the Trudeau government has decided to buy out with billions in public money. After all, as taxpayers, we are all Trans Mountain’s new shareholders now and we should know where our money’s going. 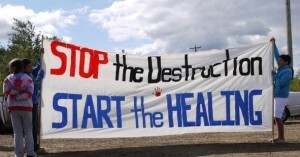 Following the film, Chief Myeengun Henry (Chippewas of the Thames) and Dr. Angela Carter (BSIA Fellow and Assistant Professor in the Department of Political Science at UW) will reflect on the film and lead a discussion about the Canadian government’s buyout of Kinder Morgan’s pipeline and tanker project. Members of Parliament from Kitchener and Waterloo will be invited to attend the town-hall and participate in the discussion. 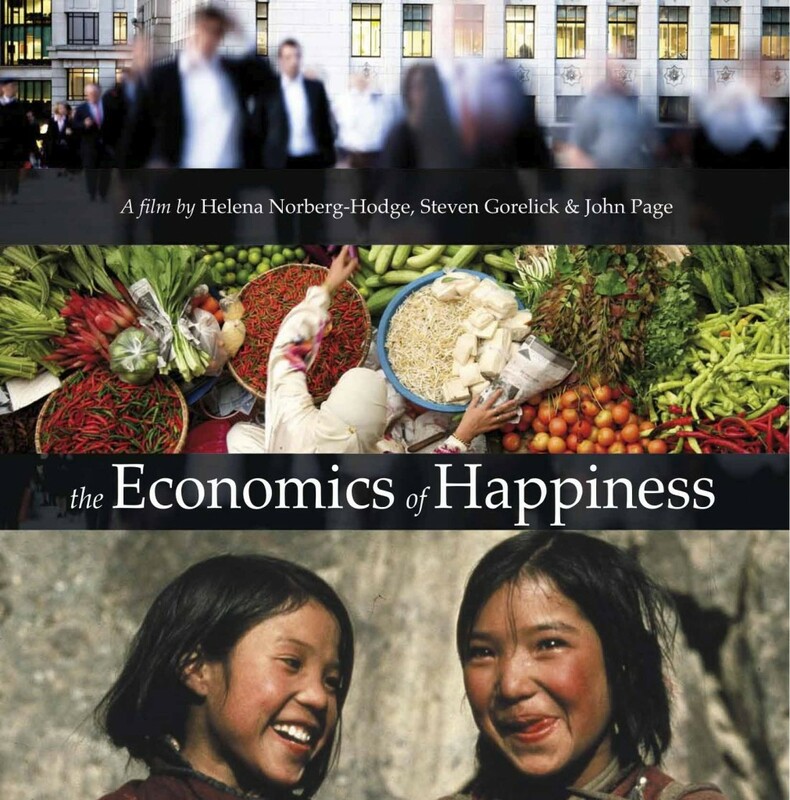 Join us for an engaging film, great food and an important conversation! Divest Waterloo and Parkminster United Church are partnering to bring Water and Spirit Allyship in Action – a lunch and Indigenous Allyship gathering. The workshop is a learning opportunity for people who are wondering about how to go beyond land acknowledgements, curious about terms or wanting to discover positive best practices for working with Indigenous peoples. Melissa Ireland, Manager of Indigenous Student Services at Laurier University, will facilitate this participatory gathering employing a circle approach to help participants self-discover where they sit in their Indigenous Allyship journey. Mary Anne Caibaiosai will share her stories and prayers for the water and plans for the All Nations Grand River Water Walk that will be held from September 15th through the 29th. The Walk will begin at the headwaters of the Grand River and follow the beautiful river-ways to late Erie. 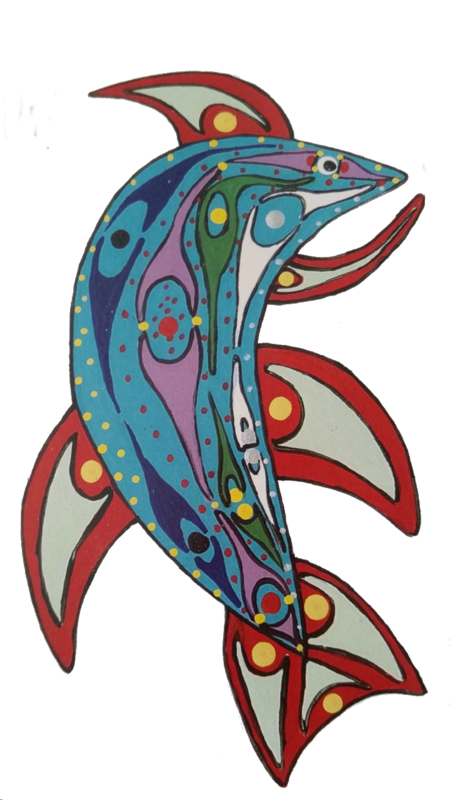 The walk is intended to honour the water and connect all peoples to creation. Lunch is served at noon, and the workshop runs until 2pm. The workshop and lunch are free with donations to support the Water Walk gratefully accepted. Divest Waterloo is partnering with the Social Development Centre and others to host three forums where people can meet their candidates. This is not a debate, but a conversation supported by several organizations active in the areas of affordable housing, healthcare, income security, environmental justice, and democratic reform. Join the conversation – let your voice be heard! St. John the Evangelist Church, 23 Water Street North. On bus routes 4,6 & 7. First United Church,16 William Street West. On bus routes 5 & 7.
here is the website for the all candidates meetings. Through a unique blend of documentary-theatre, projections design, object puppetry, and solo-performance by Kevin Matthew Wong, the show seeks to spark conversations on Canadian environmental policy, treaty rights and indigenous relations, as well as the current nature of Canadian identity and values. The Chemical Valley Project is created by Kevin Matthew Wong and Julia Howman, with the dramaturgy and advisement of Vanessa and Lindsay Gray. This screening is part of the Ecology-To-Scale Film Series – a documentary series that deals with ecological issues from a local perspective. So much of public discussion on environmental issues is at an unimaginably large scale that leaves many people feeling hopeless and powerless. The Ecology-To-Scale Film Series is one component of The Working Centre’s Finding Our Place: A Year of Reflection and Discussion exploring the thought and themes of Wendell Berry. For nearly forty years Wendell Berry has insisted that it is at a local scale that environmental issues are most properly and effectively addressed. This film is co-presented by Divest Waterloo, The Working Centre and Princess Cinemas. 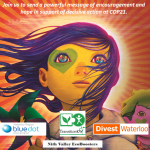 Divest Waterloo is partnering with The Working Centre and Princess Cinemas to host TOMORROW. Winner of the 2016 César Award for Best Documentary Film. This screening is part of the Ecology-To-Scale Film Series – a documentary series that deals with ecological issues from a local perspective. So much of public discussion on environmental issues is at an unimaginably large scale that leaves many people feeling hopeless and powerless. The Ecology-To-Scale Film Series is one component of The Working Centre’s Finding Our Place: A Year of Reflection and Discussion exploring the thought and themes of Wendell Berry. For nearly forty years Wendell Berry has insisted that it is at a local scale that environmental issues are most properly and effectively addressed. Plan to join us for an informative and uplifting evening! Divest Waterloo, Food Not Bombs, Citizen’s Climate Lobby and Climate Vegan invite you to share your ideas and your recipes in our first Climate Conversations potluck* for 2017. Join us for cooking demonstrations as we prepare a variety of plant-based meals, or bring your dish own to assemble in St. John’s new co-op commercial kitchen. This is our second potluck with a twist*. It is all about building community and having some fun! 4:30 – 6:00pm Join us for cooking demonstrations of plant-based entrees featuring local seasonal ingredients. 6:30 Potluck begins! 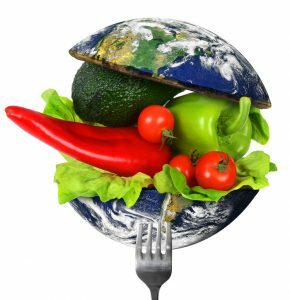 Share a meal, engage with our panel of speakers, and learn more about how to get more involved in in food and climate action in our community. Live entertainment provided. *The Twist*: You know a potluck as a gathering where each guest contributes a dish of food that is shared with the group. But this is a potluck with a twist! In order to respect public health regulations, we ask that you please assemble your contribution in our new commercial kitchen. The kitchen will be open from 4:30 until 6 and you are welcome to join us during this time to watch cooking demonstrations or to prepare your dish in advance (we have lots of fridge space). Or come at 6pm for “just in time” food prep. Need inspiration? Join us for cooking demonstrations at 4:30. Details of the recipes that will be demonstrated will be shared in the coming days. This is a scent free and child friendly event. Thank you to all of those who participated in the Town Hall climate policy consultation on August 18th. We had over 300 people attending from communities across Waterloo Region, and were joined by all five of our Members of Parliament. The discussions were engaging, provocative and thoughtful. The ideas generated that evening have been combined into the report below, which is being presented to our Members of Parliament and the Government of Canada on behalf of the citizens of Waterloo Region. Missed our Climate Justice and Indigenous Allyship event? You can still watch the video. Missed this event? You can view the webcast on GIGI’s website, linked here. The call for divestment from fossil fuels has traditionally been pitched to protect the future wealth of pensioners and other long-term investors. But the time frames for action have shifted markedly over the last two years, with the collapse in coal, oil and natural gas prices already triggering a massive decline in the equity valuations of fossil fuel producers. Join us for a public lecture on divestment from fossil fuels by Jeff Rubin, CIGI senior fellow, former chief economist at CIBC World Markets, and thought leader on the economics of energy sources. Jeff will speak about the research presented in his CIGI paper on divestment, as well the recent spate of major international investors who have pulled up stakes from the Canadian oil sands. A question period will follow. 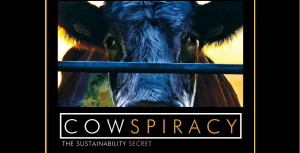 Divest Waterloo is partnering with Citizens’ Climate Lobby Waterloo Region, Food Not Bombs, and Climate Vegan to host a special screening for COWSPIRACY. This documentary challenges us to look beyond the well-publicized sources of greenhouse gas emissions, and to question how our food choices might contribute to climate change. 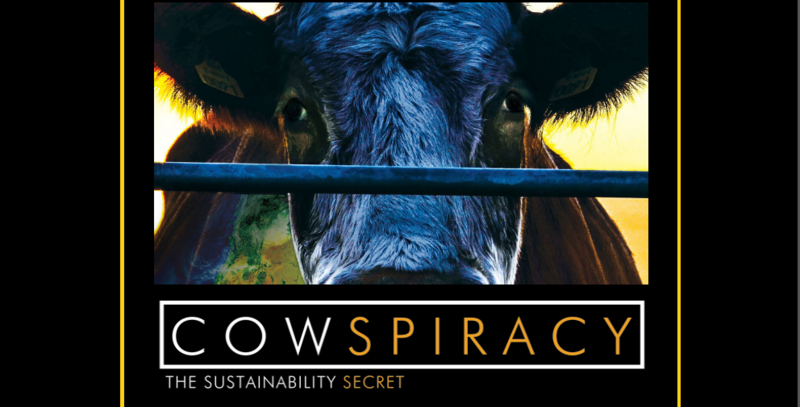 Cowspiracy takes a light-hearted approach to address a difficult subject – the detrimental impact that animal agriculture, especially on an industrial scale, has on greenhouse gas emissions. 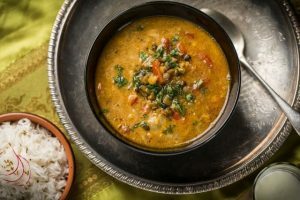 The UN’s declaration of 2016 as the International Year of Pulses demonstrated that we must consider our carbon footprint across all of our activities, not simply our direct use of fossil fuels. Please Register at EventBrite. This a FREE event but seating is limited. Climate change may no longer be a choice, but we still have a choice of consequences. What will we choose: War or Peace? Join us for a screening of this compelling documentary by the award winning directors of REQUIEM FOR THE AMERICAN DREAM. Participate in an engaging discussion with a panel of distinguished experts, to explore the implications of climate change from a peace and justice perspective. 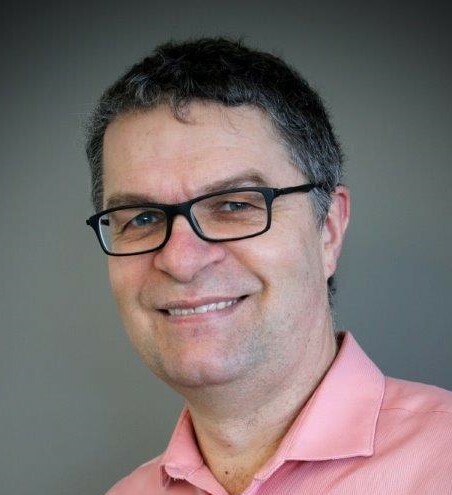 Rick Cober Bauman, Executive Director – Mennonite Central Committee Ontario. Rick has served with MCC for 26 years, including 3 years in Labrador in the Innu Community of Sheshatshit, and the last 7 1/2 years as Executive Director of MCC Ontario. This experience has brought him into contact with many stories of relief, development and peace around the world. Rick works in the Kitchener office, but is available across Ontario. Simon Dalby, CIGI Chair in the Political Economy of Climate Change, Balsillie School of International Affairs. 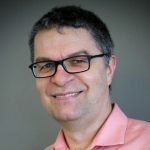 Simon is also the Acting Chair of the Master in International Public Policy program, and Professor of Geography and Environmental Studies at Wilfrid Laurier University. His published research deals with climate change, political ecology, geopolitics, global security, environmental change, militarization and the spatial dimensions of governance. Jessica West, Program Officer at Project Ploughshares. Jessica is a Ph.D. Candidate in the Global Governance program at the Balsillie School of International Affairs, Wilfrid Laurier University, who is pursuing a specialization in conflict and security studies. She has a Master’s of Arts degree in International Affairs from the Norman Paterson School of International Affairs. Prior to beginning her doctoral studies, Jessica managed an international research project on space security and served as the editor of its annual publication as part of her role at Project Ploughshares. Divest Waterloo is joining forces with other members of KW Peace to bring you an evening focused on creating positive change in our community, through a series of conversations about peace, justice and climate change. Keynote Speaker:Dr. Simon Dalby, CIGI chair in the Political Economy of Climate Change at the Balsillie School of International Affairs. Simon’s work focuses on climate change, political ecology, geopolitics, global security, and environmental change. A hearty, plant-based, local, seasonal meal will be provided – pay what you can at the door. The concept of peace building is very broad encompassing a wide range of approaches and issues. This event will celebrate our individual perspectives on peace, as well as find ways to work together in creating peace and positive change in our region. We’ll do this by showcasing the work that’s already being done and encouraging new action and collaboration. Missed the August 11th public education event Canadian Climate Solutions: What Should be in the National Climate Plan? at the Centre for International Governance Innovation? You can watch it here. A broad coalition of local organizations* are partnering with our Five federal members of Parliament to host Climate Town Hall WR, part of the national climate consultations to inform Canada’s . Prime Minister Trudeau and Canada’s First Ministers committed to creating a national climate strategy for Canada in the March 2016 Vancouver Declaration. Through the summer, public consultation activities related to this strategy will take place across the country and feed into expert working groups assembled by the federal and provincial governments. This is our opportunity to demonstrate that we have a powerful base of creative, knowledgeable leaders and citizens who are passionate about finding climate change solutions. We want to show the Federal government that our region cares about addressing climate change, and that we are already working on solutions. Have your voice heard! Or simply come along to support other speakers and show that you really care about the issue. Register here to attend the Kitchener consultation for the five constituencies in Waterloo Region on Thursday August 18th at 7pm at the Kitchener City Hall Rotunda. Note that registration is not required to participate in the consultation. However, it is appreciated as it helps with our planning. Groups engaged with the People’s Climate Plan will also be participating in this consultation. You can learn more about this initiative and local climate action educational opportunities here. We have also provided some resources here to support your participation in Climate Town Hall WR. At 5:30pm on August 18th at Kitchener City Hall in advance of the consultation join the People’s Climate movement for this educational boot camp to build strong community pressure for a meaningful and just national climate plan. This event will include a light dinner, so please be sure to register so that we can plan accordingly! Come and learn about the People’s Climate Plan, and how you can speak up for it right before our Climate Town Hall. This event will help to prepare people to promote the three pillars of the People’s Climate Plan at the consultation. Register here for (free) dinner and the boot camp! Thanks in advance for your interest and commitment to creating solutions for the most significant threat facing the world today. Please plan to join us and share these events across your network to encourage broad participation. Together we will demonstrate that Waterloo Region cares about addressing climate change, and that we are already working on solutions. This is a once in a generation opportunity. Make your voice heard at this crucial time. Divest Waterloo has partnered with Citizens’ Climate Lobby and the Centre for International Governance Innovation to host this event in advance of the federal climate consultation taking place in Waterloo Region on August 18th (see below). Climate Town Hall WR is Waterloo region’s opportunity to join in the national conversation to inform Canada’s climate action strategy. The Centre for International Governance Innovation is supporting these public consultations with this public education event featuring an expert panel presenting cutting-edge research and policy recommendations related to the four main themes of the federal climate strategy. Divest Waterloo is partnering with The Centre for Public Ethics at Waterloo Lutheran Seminary (Wilfrid Laurier University), Faith & the Common Good, Sacred Water Circle, and the Green Awakening Network to bring you an opportunity to learn together and engage in Climate Justice and Right Relations. This forum will bring together a group of exceptional speakers and a wonderful diversity of people and faith traditions in a safe and encouraging environment for challenging and honest conversations.Using each other’s knowledge and experience to envision a way forward, we will leave with action plans and relationships to further the most important work we face as a nation: Reconciliation with each other and with Mother Earth. Shared transport from Toronto, Hamilton and other locations is being arranged. Please contact network@faithcommongood.org for further information. Elder Myeengun Henry (KEYNOTE) is an Aboriginal Traditional Counselor from Chippewa of the Thames First Nation near London Ontario. Myeengun teaches at Mc Master University and Conestoga College. He will discuss the importance of reclaiming and using traditional knowledge to address complex environmental challenges, and the importance of honouring treaties and of consultation with First Nations on matters that impact their traditional territories. Sheri Longboat is a member of the Six Nations of the Grand River, and for much of her career she has worked with First Nations communities implementing GIS technology for community-based land and resource management. It is her belief that solutions for current social-ecological challenges require multi-disciplinary approaches and collaboration among shared responsibilities. Melissa Ireland was a driving force behind the creation of Laurier’s Indigenous Allyship An Overview – a toolkit for change. Serving with pride as the Aboriginal Student Support Coordinator for the Waterloo campus, Melissa has Anishinaabe (Ojibway) heritage from Curve Lake First Nation and is Marten Clan. Dorothy Taylor is an Ojibwe Anisinaabe kwe and is recognized as a traditional teacher. Dorothy is the founder and current lead of the Sacred Water Circle, a collective of community volunteers with the objective of restoring humanity’s sacred relationship with water. 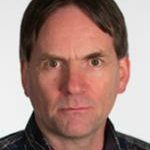 Byron Williston (KEYNOTE) is an Associate Professor of Philosophy at Wilfrid Laurier University and a member of the Interdisciplinary Centre on Climate Change at University of Waterloo. 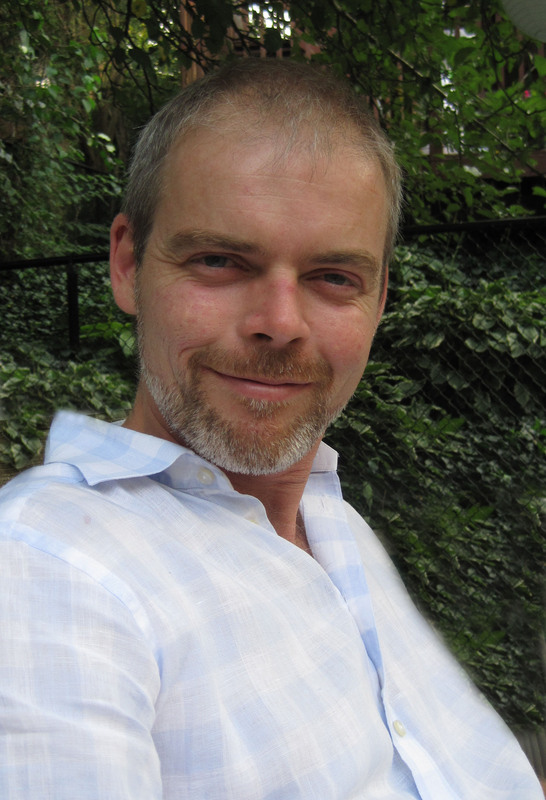 Byron is the author of The Anthropocene Project: Virtue in the Age of Climate Change (2015) and Environmental Ethics for Canadians (2011). Lindsay Gray is an Aniishinaabe, Potawatomi, and Delaware from the Aamjiwnaang territory. A two-spirited land defender against Chemical Valley. Working grassroots with Aamjiwnaang and Sarnia Against Pipelines..
Leah Gazan is a member of Wood Mountain Lakota Nation, located in Treaty 4 territory. She is currently teaching in the Faculty of Education at the University of Winnipeg. Leah has recently founded the #WeCare campaign, aimed at working with the broader Canadian public to participate in ensuring the end of violence against Indigenous women and girls. Kelly Laurila and Dorinda Kruger Allen, of Mino Ode Kwewak N’gamowak (Good Hearted Women Singers) will be speaking on the hard work involved in reconciliation and building effective partnerships. Divest Waterloo gratefully acknowledges financial support for this event through the United Church of Canada Justice and Reconciliation Fund. The Earth has a heartbeat. Join Community Kitchen and Divest Waterloo to celebrate the approach of summer and the UN International Year of Pulses (beans, peas, lentils and chickpeas) at the Waterloo Region Community Pulse Potluck* Dinner! It is a night to acknowledge the realities of climate change, while celebrating the possibilities of addressing it through food and solidarity. It is also our opportunity to introduce you to KW’s newest co-operative community kitchen. Come for thought provoking dinner conversations, entertainment, and of course down-to-earth food that is still out-of-this-world! Local activists in food and climate justice will be joining us to animate discussions. Bring your friends and imagine all of the possibilities that this co-operative kitchen holds for our community! Test drive the kitchen with your favourite vegan or vegetarian dish. * You know a potluck as a gathering where each guest contributes a dish of food that is shared with the group. But this is a potluck with a twist! In order to respect public health regulations, we ask that you please assemble your contribution in our fabulous new commercial kitchen. The kitchen will be open from 2 until 6, and you are welcome to join us during this time to prepare your dish in advance (we have lots of fridge space). Or come right before 6 for “just in time” food prep. Need inspiration? Check out recipes here, here, and here. Commit to eating pulses once a week for 10 weeks and join a global food movement! This is a child friendly event, in a “Scent Free” environment – yummy cooking smells exempted. This event is hosted by the Department of Political Science with support from numerous campus and community groups including the Kitchener Public Library, the Waterloo Aboriginal Education Centre, the School of Environment, Resources and Sustainability, the Balsillie School of International Affairs, Sustainable Campus Initiative, Waterloo Political Economy Group (WatPEG), Waterloo Public Interest Research Group (WPIRG), ClimateActionWR, the Council of Canadians (Guelph and Centre Wellington Chapters), Divest Waterloo, and KAIROS. Wordsworth Books and Hacienda Coffee folks will be on hand with books for sale and treats to share! Our new federal government committed to modernize the National Energy Board to ensure that it includes climate change impacts and respect for community voices – especially First Nations – in pipeline reviews. 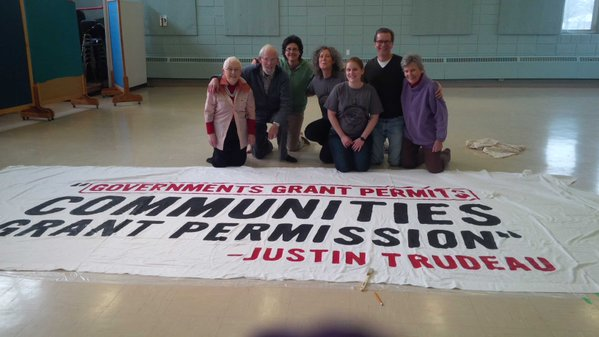 Communities across Canada are gathering to show that we want them to keep this promise. In support of the People’s Injunction, Divest Waterloo is partnering with Chippewas Solidarity, Transition KW and concerned citizens to organize a community awareness skating party, rally and film screening on Sunday January 24th. Join us to celebrate winter and learn more about the National Energy Board review process and how this must be overhauled to ensure that credible reviews of the Kinder Morgan Trans Mountain and TransCanada Energy East pipelines can be carried out. One River, Many Relations is a new Canadian Documentary about the oil sands, environment and Indigenous rights. Admission is “pay what you can” and all are welcome! Art Build – THANK YOU! to all who attended. We have a fantastic banner and signs – many hands, great work! To express solidarity with the United Nations Climate Conference (COP21), Divest Waterloo is thrilled to partner with rare Charitable Research Reserve, CREW, BRIDGE and the Grand Valley Society of Architects to present Inspired by Change: The People’s Climate Art, a collaboration of art and film. Join us for an exciting exhibit and film screenings over the week of Nov 30 – Dec 8, to celebrate ArtCOP21 in Waterloo Region. Monday, November 30: Opening night of “Inspired by Change: The People’s Climate Art”. What: PechaKucha-style presentations, beverages, hors d’oeuvres. Read about our line up of speakers and the evening’s music performers here. Gallery open for public viewing Tuesday through Friday, 5pm to 8pm. Contribute to a climate action film series in-the-making! 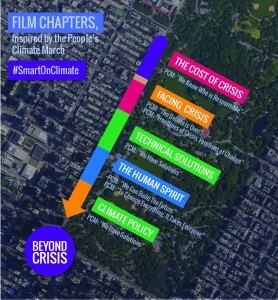 What: From Dec 1 – 3, you can contribute to a climate action film series in-the-making! For the first time, ArtCOP21 is bringing together a curated selection of pieces by the Beyond Crisis team for an evening of both meditation on climate action, and lively engagement. As the climate talks begin in Paris at COP21, these evenings will be an opportunity to discuss the need for & direction of global climate action, through responding to multimedia pieces that evoke these rich stories of change. Help tell and respond to this story of change, as it unfolds all around us. When: Tuesday December 1st; Wednesday December 2nd; Thursday December 3rd. 7 pm each evening. Featuring the Conor Gains Band – 2013 Maple Blues Awards nominee for Best New Artist. What: Live music, beverages, hors d’oeuvres. Seating is limited. Please register. This year hundreds of thousands of us – a massive coalition of environmental, social justice, faith, labour, community, student and indigenous groups, as well as families and concerned citizens – are building an unprecedented global mobilization in support of climate justice. 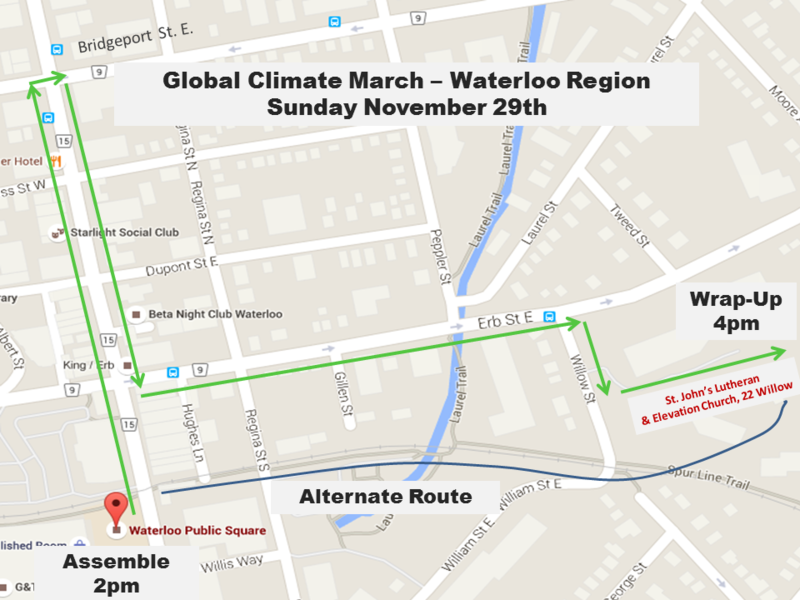 On November 29th, people from across Waterloo Region will join with voices from around the world to show our support for ambitious and real action against climate change at COP21 – the 2015 Paris Climate Conference – is our most important climate conference yet. Come together with neighbours and friends to send a powerful message of encouragement and hope in support of decisive action at COP21. Sound your drums and raise your voices in solidarity with people from around the globe. 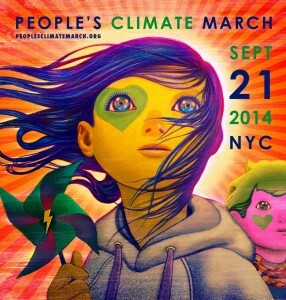 Be part of an historic event at this most important juncture in the climate movement. WHAT: Peaceful family-friendly march in advance of the United Nations Climate Change Conference in Paris, November 30-December 11. 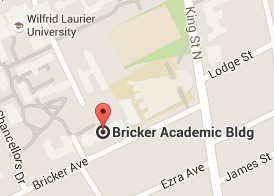 WHERE: Start at Waterloo Public Square, 75 King St S, Waterloo end at 22 Willow Street. Register here to receive updates about the march or to volunteer. Watch this inspiring video and follow the conversation at #ClimateMarch. 3:30 – 4 pm: Celebration and Closing Speakers, St. John’s Luterhan & Elevation Church grounds, 22 Willow St.
Join presenters from Transition KW and Divest Waterloo for a free workshop on Transition KW’s Climate Change Adaptation Toolkit. Explore practical and creative ways that you can mitigate and adapt to climate change in your home, neighbourhood, and community. WHAT: Free workshop on Climate Change Adaptation Toolkit. WHEN: Wednesday November 18 7:15 pm – 8:45 pm. Join Thomas Homer-Dixon as he engages in a fireside chat with clean-tech venture capitalist and outspoken author on climate change, Tom Rand. 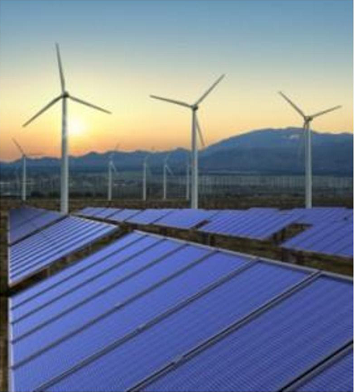 WHAT: Learn about cutting edge technologies for a low carbon future. 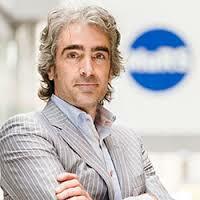 Tom Rand is a Managing Partner of Arctern Ventures, and Senior Advisor at the MaRS Discovery District. Tom has been a regular member of the E-Squared panel on CBC’s The Exchange w/ Amanda Lang, and is the author of Waking the Frog – Solutions for our climate change paralysis, and Kick the Fossil Fuel Habit: 10 Clean Technologies to Save Our World. Tom holds a BSc in electrical engineering (U of Waterloo), an MSc in philosophy of science (University of London and LSE) and an MA and PhD in philosophy (U of Toronto). Join presenters from Transition KW and Divest Waterloo for a free workshop on Transition KW’s Climate Change Adaptation Toolkit. Explore practical and creative ways that you can mitigate and adapt to climate change in your home, neighbourhood and community. WHEN: Monday October 26 7pm-8:30pm. The most diverse climate action in Canada’s history is happening in Toronto on July 5 — and we need you there. An unprecedented coalition of social justice organizations, Indigenous communities, environmental groups, faith communities, the labour movement, scientists, students, families, and thousands of others will take to the streets of downtown Toronto on Sunday, July 5, in the March for Jobs, Justice and the Climate. In a year of unparalleled importance for climate change, we need to help awaken our communities and our leaders to their moral obligation to act on climate change. Click here to register for the March for Jobs, Justice and the Climate. Click here to find out how you can volunteer to support the march. Click here to find out more about bus transportation from KW to the March, and here to register for the bus. The bus is $25 return, or ‘pay what you can’. Free seats are available – no one will be turned away! This march is a great opportunity for us to join together and raise our voices for action on climate justice. Stand up and be counted at this pivotal moment in history! From the historic People’s Climate March in NYC to a 25,000 strong call to action in Quebec City, people from all walks of life are raising their voices on the issue of climate change. A team of young film makers is profiling affirmative climate action from coast to coast, in a powerful documentary-in-the-making to increase awareness and hope at this critical time for our country and the world. Join us for an evening of great food, great music and an even better cause. Beyond Crisis is a Canadian documentary in-the-making, profiling leadership and inspiration in the face of climate change. 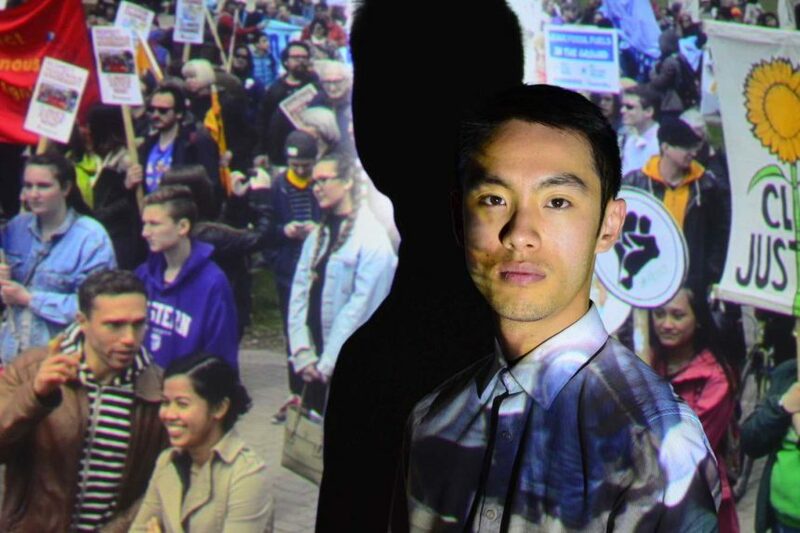 Divest Waterloo is supporting the hard working young filmmakers to complete their important project at this critical moment in history, in advance of our federal election and the United Nations Climate Change Conference in Paris later this year. Kai Reimer-Watts, one of the film’s producers and directors, will be on hand to preview early material being considered for the film and to discuss their progress on the film thus far. Kai was a UN student delegate to COP19, an event that transformed his understanding of international action on climate. Kai hails from Waterloo Region and has recently graduated from the University of Waterloo’s new Master of Climate Change program. Music for the evening will be provided by The Fact Pack, a talented contemporary vocal jazz combo (all Laurier graduates) who performed at the Jazz Room earlier this year. Tickets are just $20 and include a full-course, hearty vegetarian meal, and an evening of music and fun. All of the funds raised will go to support the Beyond Crisis film. Tickets are available at beyondcrisis.eventbrite.com. Space is limited – please register now! Divest Waterloo and Citizens Climate Lobby are joining forces to offer a thought provoking evening designed to inform and engage you. On the heels of Ontario’s Cap and Trade announcement, Understanding Carbon Pricing provides an opportunity for you to gain new insight into the impacts of carbon pricing, how this fits within an international context, why Canada needs a national price on carbon, and what it means for people in Waterloo Region. 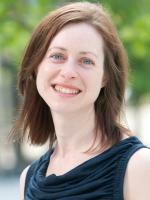 Caterina Lindman is an actuary and the Waterloo Region leader of Citizens’ Climate Lobby (CCL). CCL is a growing organization of local volunteer groups in Canada and the U.S. that are pressing for progressive climate legislation. They lobby representatives and governments to support carbon fee and dividend and to end subsidies to fossil fuel companies. David Pfrimmer is the principal dean of Waterloo Lutheran Seminary, WLU. Dr. Pfrimmer is one of 53 representatives of faith-based institutional investors who have signed an open letter urging the federal government to establish a national policy to put a price on carbon emissions. These institutions have more than $2 billion in combined assets under management. 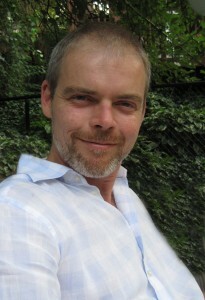 Olaf Weber is an Associate Professor and Program Director of the Master of Environmental Studies in Sustainability Management program in the School of Environment, Enterprise and Development, University of Waterloo. 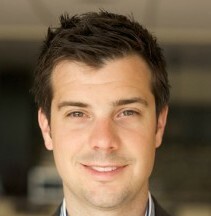 He is also a Senior Fellow with the Global Economy Program at the Centre for International Governance Innovation (CIGI). Dr. Weber’s research includes financial risk and opportunities caused by climate change and climate change regulations. Heather Pearson is the Director of Air Policy Instruments and Programs Design Branch, in the Climate Change and Environmental Policy Division of the Ontario Ministry of the Environment and Climate Change. Join us for informative presentations, stimulating discussion, and homemade desserts. Join a group of forward-thinking impact investors earning stable returns and making a difference in our community. Investing with a local Renewable Energy Co-operative is an innovative financial move that enables you to align your investments with your values and support the mission of local for-profit social enterprises. Divest Waterloo and Community Renewable Energy Waterloo (CREW) are teaming up with Local Initiative for Future Energy (LIFE) Co-op and the Community Economic Development Co-op to discuss how you can invest in locally-owned renewable energy projects. Join us for this FREE information session and learn how you can help build a new world of #communitypower. You can register in advance here, but last minute participants will also be welcomed. Is your faith community considering divesting from fossil fuels but unsure how to get the conversation started? Join Fossil Free Faith‘s “Divestment 101” webinar series to learn how other Canadian faith communities are grappling with the moral, financial, and practical questions around divesting from fossil fuels. 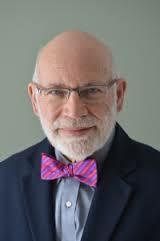 April 7, 7-8pm: The Moral Rationale. Register here. May 5, 3-4pm: Building Support for Action. Register here. May 27, 3-4pm: Addressing Trustee Concerns. Register here. Karen Lockridge is a Principal and pension actuary at Mercer, based in Toronto. Karen focuses on working with clients and colleagues to raise awareness of sustainability-related risks, trends and opportunities, such as those relating to water and resource shortages, climate change, environmental management and corporate responsibility. She represents Mercer on the Marsh & McLennan Companies Task Force on Sustainability and Climate Change. During her 20 year career at Mercer, Karen has held a variety of leadership roles in defined benefit risk management, strategy execution, knowledge management and operations. In addition to her time at Mercer, Karen spent 18 months in 2010/11 as Director, Pension and Benefits at BMO Financial Group. Karen graduated from the University of Alberta with an Honours Bachelor of Science in Applied Mathematics in 1990. 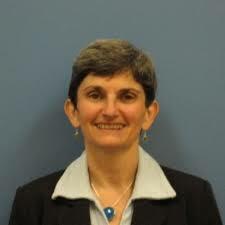 She is a Fellow of the Society of Actuaries and the Canadian Institute of Actuaries (CIA). 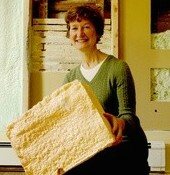 Karen is a member of the CIA Board of Directors and she chairs the CIA Climate Change and Sustainability Committee. Here’s the event poster – please circulate. 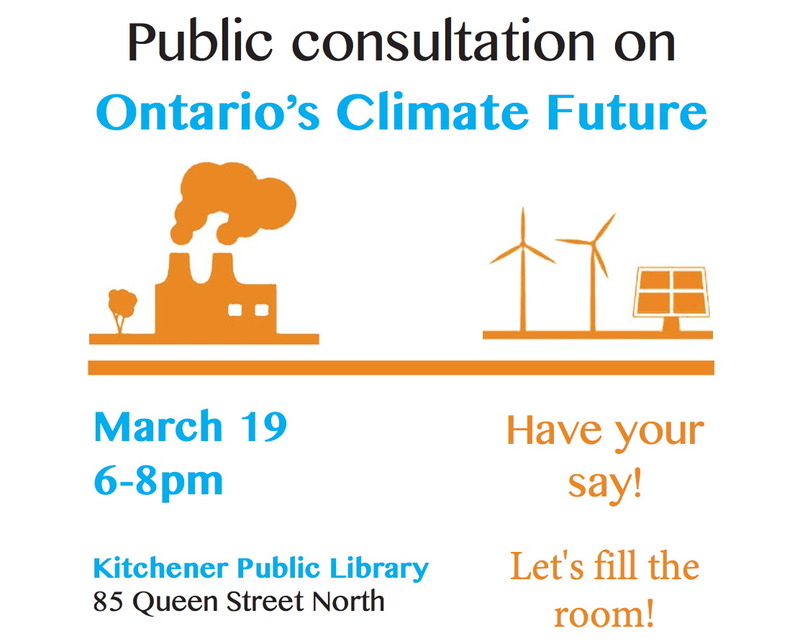 Join the discussion and let the Government of Ontario know what you think about the best path forward for adapting to climate change in our community and reducing carbon emissions. Share your feedback and ideas to demonstrate that Waterloo Region cares about addressing climate change, and that we have the expertise and commitment to help Ontario be recognized as a world leader in climate change solutions. Flyer by Waterloo Region environmental groups: please circulate! 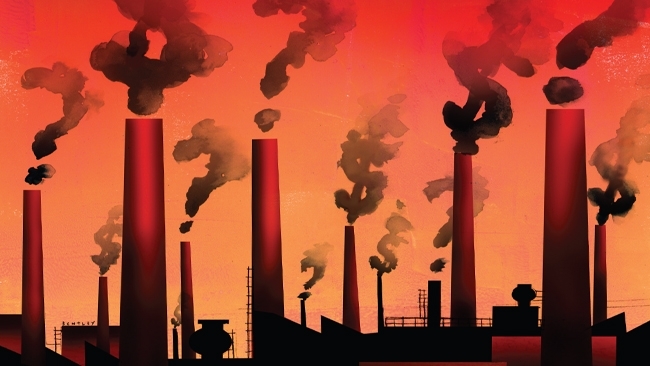 Is your investment portfolio contributing to climate change? 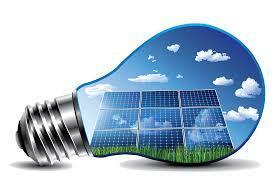 Whether you have $1,000 or $1 million, you can profitably invest your money without relying on stocks in fossil fuels. Join us on March 5th to learn how! Hosted by Divest Waterloo and Community Renewable Energy Waterloo (CREW). Karen Lockridge is a principal, pension actuary and sustainability champion in Mercer‘s Toronto office, and chair of the Canadian Institute of Actuaries‘ Committee on Climate Change and Sustainability. Karen will start the conversation by discussing Mercer’s work to identify the impact that climate change will have on institutional investment portfolios. 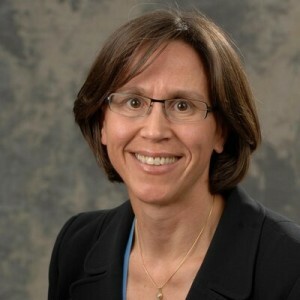 Karen will identify a series of pragmatic steps for institutional investors to consider climate change risks throughout the investment process, including allocation to climate-sensitive assets, engagement and collaboration, and decarbonization strategies..
Timothy Nash (“The Sustainable Economist“) is president of Strategic Sustainable Investments, and the lead researcher for Ethical Market’s Green Transition Scoreboard® research report. 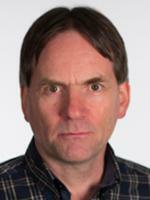 He teaches economics at Sheridan College in Toronto. Tim will focus on the individual investor and explain how to create a high performance fossil free portfolio without sacrificing returns. Read Tim’s recent blog in which he demonstrates that his fossil free portfolio significantly outperformed a traditional portfolio during a 3-year period. Shane Mulligan is the general manager of Local Initiative for Future Energy (LIFE) Co-op. He is also the President of Radicle Consulting, a renewable energy and co-op consulting firm, and was a founding director of the Federation of Community Power Co-operatives. 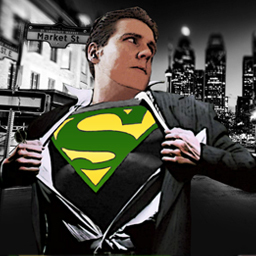 Shane will be joined by Brian Unrau to discuss how we can “save the planet, and make a great return while doing it”. 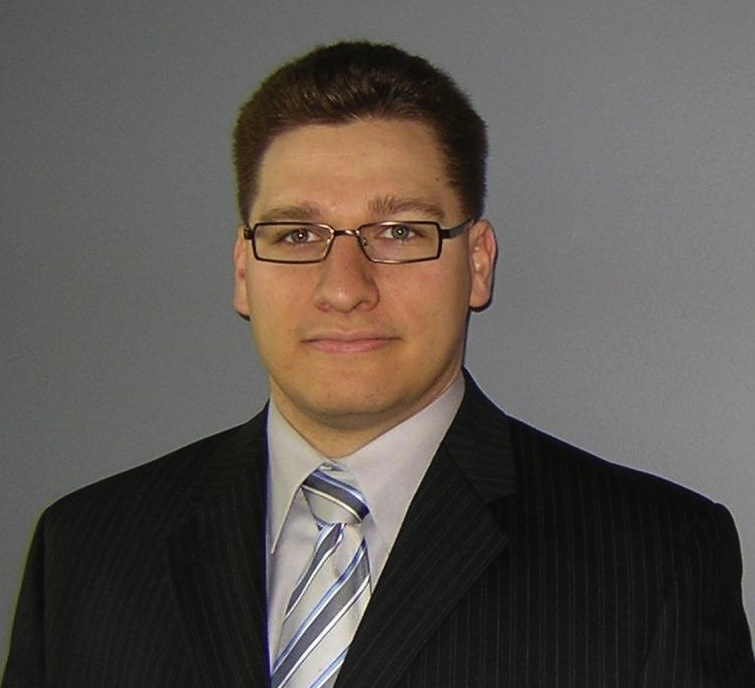 Brian Unrau, MBA, CPA, CMA is President of Community Energy Development Co-operative Ltd., which offers RRSP-eligible investments in renewable energy projects. He is also a director of the Federation of Community Power Co-operatives and Vice President Finance of solar developer Vigor Clean Tech Inc.
Brought to you by CREW and Divest Waterloo as part of MOVIES WITH A MESSAGE. 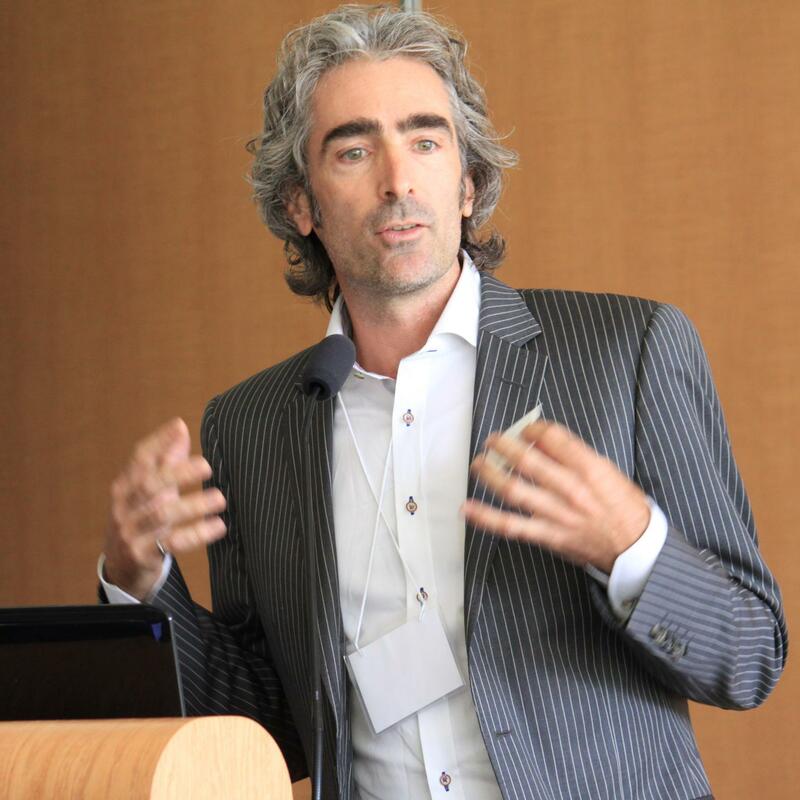 Jason Thistlethwaite, a University of Waterloo researcher and Director of the Climate Change Adaptation Project at the University of Waterloo will add context and lead the discussion. October 23, 7:00pm. Doors open at 6:30. 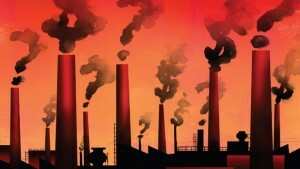 The fossil fuel industry is killing us. Left to their own devices, they’ll push us past the brink of cataclysmic disaster—life as we know it will be irrevocably altered forever, unless we fight back. DO THE MATH chronicles “America’s leading environmentalist” Bill McKibben (environmentalist and co-founder of 350.org) in a David-vs-Goliath battle to fight the fossil fuel industry and change the terrifying math of the climate crisis. Bill McKibben is going after Big Oil, Big Coal, and Big Gas directly—energizing a movement like the ones that overturned the great immoral institutions of the past century—such as Apartheid in South Africa. Putting his body on the line to stop the Keystone XL Pipeline and leading universities and institutions to divest in the corporations destroying our livelihoods, McKibben is uniting the growing global majority that view the climate crisis as the most important moral issue of the day. The film also features a veritable who’s who of the climate movement including Dr. James Hansen (former Director, NASA’s Goddard Institute for Space Studies), Naomi Klein (Author, The Shock Doctrine), Van Jones (CNN Correspondent & Author, The Green Collar Economy) Lester Brown (President, Earth Policy Institute), Michael Brune (Executive Director, Sierra Club), Bobby Kennedy Jr. (President, Waterkeeper Alliance) Majora Carter (Founder, Sustainable South Bronx), Phil Radford (Executive Director, Greenpeace), James Gustave Speth (Co-Founder of NRDC), among others. Nearly 100 people attended this event to learn more about what they and their churches can do to make a difference. See our Facebook page for photos from this event. The realities of climate change require prophetic and strategic action by people seeking to be faithful to the covenant God has made with us, with every living creature and with all future generations. As people of faith, we must summon the courage to look at the world honestly and respond with radical, transformational love. Faith Communities can be Catalysts for Transformation to a Sustainable World. Join us on June 18 for an interdenominational evening of discussion, reflection, inspiration and homemade desserts. Our faith calls us to care for our neighbours and for creation—we cannot wait for others to act but instead must lead by example. Find out what you can do to move your congregation from despair to hope. Refreshments will be served. David & Kathryn Mayberry from the Canadian Foodgrains Bank (a partnership of 15 Canadian churches and church-based agencies working together to end global hunger) will explain the threat to Global Food Security from Changing Climate and for the poorest people already living on the front lines of climate change, action on all fronts is urgent. Jason Thistlethwaite, A University of Waterloo researcher and Director of the Climate Change Adaptation Project at the University of Waterloo will explain how a shift towards a reduced carbon economy could expose Canada to a bubble similar to the U.S. mortgage crisis that helped cripple the global economy. Members of Trinity St. Paul United Church will share their experiences that took them from a climate justice working group to become the first Canadian church to commit to divesting from fossil fuels. Their leadership has sparked a call to the larger church community to join the movement to ensure their funds are not invested in fossil fuels that threaten God’s Creation. Mary Jane Patterson, Executive Director of REEP Green Solutions, an environmental, non-profit organization empowering our community towards healthier homes and sustainable living, will offer practical guidance and support to your congregation.